The other night, I think it was Tuesday, or rather early Wednesday morning, I was awakened by a loud clap of thunder. Lightning flashed, and then another boom of thunder. If I hadn’t seen the lightning I don’t think I would have taken it for thunder, but some other noise in the dark. lt’s February for crying out loud! I began to think about this unusual occurrence, this freak of nature, it’s not very often we have a thunderstorm in February. I was reminded of Job and the conversation the Lord had with him in chapters thirty-eight through forty-one. 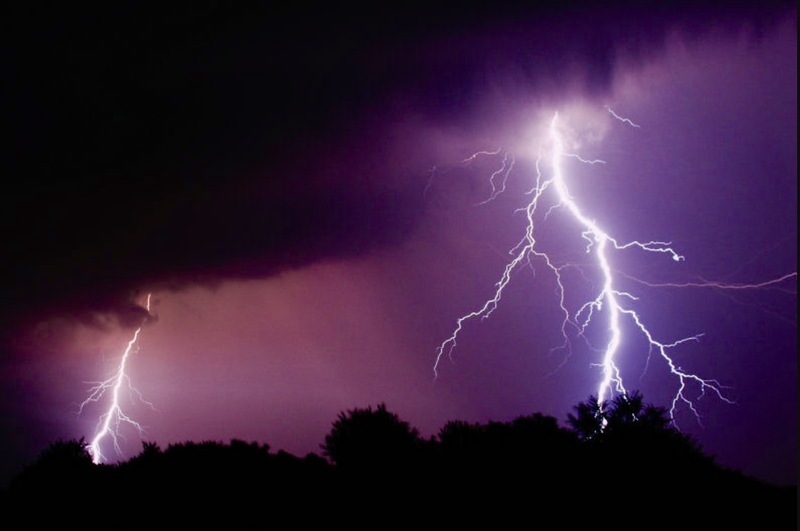 God describes His creation, His marvelous works … “Who can explain them.” … God asks Job, “Can you send the lightning bolts on their way?” God continually declares to Job, “Everything under heaven belongs to me.” What a dissertation. The thunder in the night once again reminded me how awesome our great God is. His majestic power is a wonder to behold! Then consider this… If He has such displays of power in nature, how much more can He demonstrate through those created in His image, called to do His glorious works? How He will help us glory in His presence … thunder His word in displays of awesome magnitude. I say, “Yes, Lord,” help us demonstrate Your awesome works and power! Give me the ability and strength to let my world see Your Glorious Power! This entry was posted in Devotional and tagged power of God by admin. Bookmark the permalink.